My areas are a mess. This is where I blog, edit videos, conceptualise, do my arts and crafts and sometimes read. It’s a mess right? But it shouldn’t be. And now I have things everywhere in my house because as my husband rightly puts it, nothing has a place. I’ve been a little quiet on here because I’m overwhelmed by my stuff. A cluttered workspace is a cluttered mind – or something like that. So I’m on it. I’ve decided enough is enough and my current project is getting my areas in order. I need to be real. I’m not going to all of a sudden stop liking things or getting new stuffs, so the key here is to have a system. A place for everything and a system of only keeping what I like and what I need. So call this the ‘before’ blog post. The one before I finally figure out my new system and prettify my areas. Inspired by Pink Peonies’ post on makeup organisation, I’ve been doing my research to find easily accessible and affordable storage solutions. For my fellow beauty junkies, I’ll keep you posted and come back with some sparkling photos for the after blog post. In the meantime, if anyone knows where I can find a tiered lipstick stand in SA, PLEASE holla! I could help raid, I mean organise your spaces . Can't wait to see the end result. I could pick up an idea of two for organising and decorating my dorm room. Its just so. . . .meh and ugh! 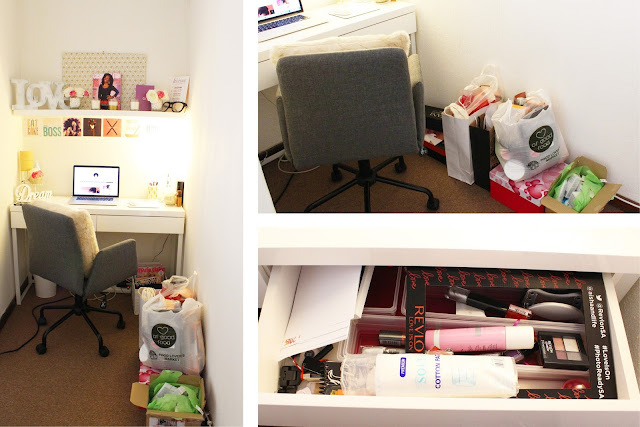 I totally feel you about trying to organise your space. 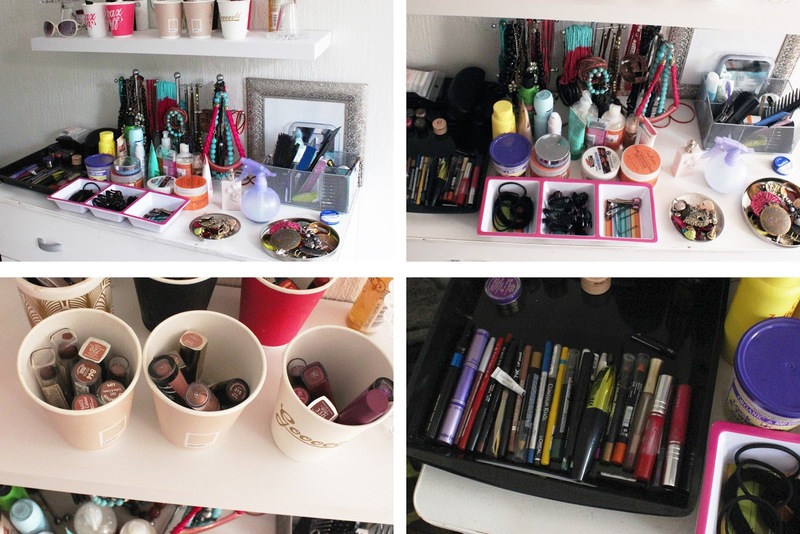 I need to do that as well, especially for my makeup and hair products! Looking forward to seeing the 'after' photos and the storage items you find. I'm in need of hair products, may you please share some of yours with me!!! And on being aproduct junkie i saw these shapoo and conditioner in spar called earthsap and you can also get from faithfull to nature. My hair loves them they smell great and leave my hair fluffy with defined curls. I've been meaning to try them since I went natural actually. You make them sound good! Another way will be to share your free godies you do not need with your readers. I was recently surprised by my cousin's begging of some of my beauty products that i bought only to try them out and stored away as i did not need them. It turns out they are her stapple product and she was more than greatful to get them off my hands. Sharing through competitions will excite some of your readers who actually use some of the goodies you receive but do not use and de-clutter your "areas" at the same time. After all sharing is caring :-). P.S: Just a thought after my experiences with family and friends. What i have and don't use they need (not want). Hi N, I always share the things I don't need/want with my family and friends. I don't agree with giving away products that I've opened and semi-used to my readers. My issue isn't with all the things that I don't want/use anymore as I regularly give them away, it's with the stuff I do use and I just need order for them. Lol, I'm not done with it yet!